Small Cats also offers shared carters and the numbers never exceed 12. The boat has an open canopy area for those who prefer to stay in the shade, as well as ample deck space for sun bathers. 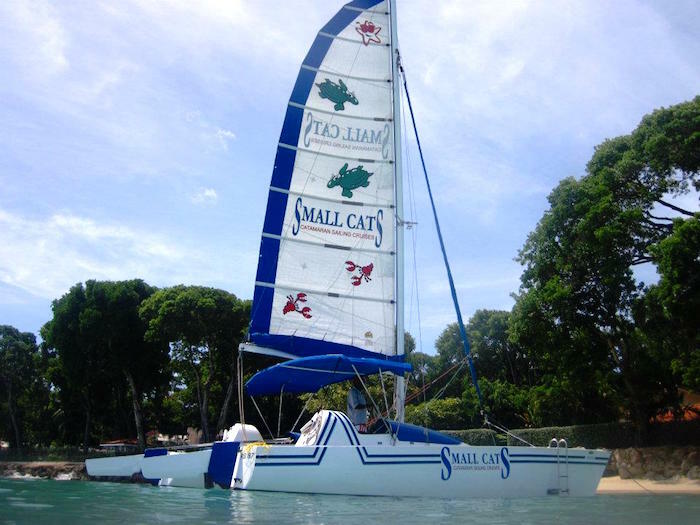 Small Cats offers the best way to see the island from the water. Choose either the 3 hour snorkelling cruise or the 5 hour lunch cruise, serving a delicious Bajan lunch. The sailing experience takes you on a visit to the underwater marine park where you will see thousands of colourful fish swimming over coral reefs and an old shipwreck. The second stop is a tranquil bay with a secluded beach where you can swim and see turtles feeding in their natural habitat. A must for first time snorkelers.